Workers compensation laws in the state of Missouri offer workers some peace of mind. They know that if they get injured, this insurance will generally cover medical expenses and even account for days off work. Employers can also rest assured knowing this policy means they generally cannot be sued by injured employees. However, if you’re a federal employee and get injured, state compensation laws do not apply, because you are covered by the Federal Employees’ Compensation Act. Any civilian employee working for the federal government is covered by the FECA act. Those employed in the military industry are covered by other federal policies unless they are a non-military employee. Division of Energy Employees Occupational Illness Compensation. Complex occupational illness - 10 months from the claim. The process itself is very similar to that of workers compensation. After the event and once you’ve received immediate medical attention, you should notify your employer in writing of your condition within 30 days after you’ve suffered the injury. Then, your employer or supervisor will report to the Secretary of Labor, and you can file for an official claim for compensation. The claim must be made in writing and delivered to the office of the Secretary of Labor. From here, an investigation into the event will be made to see if there is a cause for your claim, and award compensation. Know that in these cases you have a legal right to be represented in any hearings, whether you are unable to appear yourself because of your injuries, or want a lawyer to assist you through the process. Moreover, if you feel you haven’t been awarded fair compensation, you have the legal right to appeal the Secretary’s decision and ask for your case to be reviewed again. Though it is not mandatory, you should consider speaking with an experienced workers compensation attorney if you’ve been injured at work. These state programs often involve a rather complicated process, and a lawyer with sufficient experience can help you even with all the paperwork needed for your claim, and advise you what you should do to be compensated properly. If you ask a few St. Louis workers compensation attorneys what time of year yields the most work injury claims, you might find out that the holiday season is the answer. The reasons for this trend come down to a lack of sleep, increased drinking, ladder use at work, and cold weather. Fortunately, you can avoid these hazards by following the four crucial tips we detail in the sections below. One of the most significant dangers workers run into around the holidays is fatigue, and it's no mystery why. This time of year is when family and friends are in town, and people tend to stay up late celebrating. As fun as doing so is, you should also make sure that you’re getting enough sleep every night. A tired employee is one that is prone to making mistakes, and errors lead to injuries. Though you may never purposely work under the influence, two scenarios often play out around the holidays. First, you might get called in at a time when you think you’re going to be off all day. Rather than admit that you have been drinking and cannot work, you might try to appease your boss and go in anyways. The second is drinking late into the night when you have work early the next morning. Intoxication can linger into the next day, and you may get hurt as a result. Doing so will not only cause you pain and frustration, but it will likely disqualify you from workers’ compensation benefits. Those that work in smaller business might be asked to hang lights on the outside of their buildings. Doing so puts you in a vulnerable position, as you might be two or more stories in the air during cold weather. This situation can end in a tragic fall, so try to be careful when you use ladders and follow all of the common sense safety guidelines associated with them. The most important of them include inspecting before use, staying away from electrical devices, and not carrying excessive loads while climbing. If you work indoors, you will likely have a nice, temperate workplace. For those of you who work outside, the weather becomes a factor. Employees sustain damages from frostbite and other cold weather complications all the time, so make sure you bundle up and stay warm. Doing so will make you less likely to be affected by hypothermia, fatigue, falling, and much more. The holidays are a joyous time of year, but you shouldn’t completely let loose during them. The reason is that this period can be dangerous for workers who are not careful. You can do your part in keeping yourself safe by following the tips on this list. Of course, you could still sustain a work injury on the job. In that case, it's a good idea to speak with a St. Louis work injury attorney to discuss your potential for collecting benefits. Most people understand the most straightforward workers’ compensation cases, which involve an employee being injured in the workplace. A situation that is much more complicated is when a worker sustains damages during travel. Some employers require their workers to travel between job sites. A typical example is a construction manager, who might be overseeing multiple projects at once and need to drive between them on the same day. In these cases, workers’ compensation will generally cover a car accident because the employee is on the clock and carrying out a job function during the event. This is another time when workers’ compensation will likely cover you. The reason is that your boss asked you to do something, which makes it a work-related task. Additionally, you should be on the clock when this happens. If the errand you run happens before you clock on, that is a legal gray area that you can explore with an attorney. Some people travel long distances for their jobs. This is frequently the case for real estate companies and businesses that manage accounts. What happens is an employee will fly out to another state to carry out a work-related task, and if they get injured while there, they will likely be covered. This coverage should be present even if the employee gets into a car accident on the way to a meal, rather than explicitly completing out a work task. For some, traveling is their job, not just a part of their job. Typical examples include bus drivers, truck drivers, and other similar professions. There is generally no legal gray area in these situations. If an employee is injured in an accident, they will almost always be eligible for benefits. You might think that an accident being your fault would disqualify you from receiving benefits. This belief is not true in most circumstances. 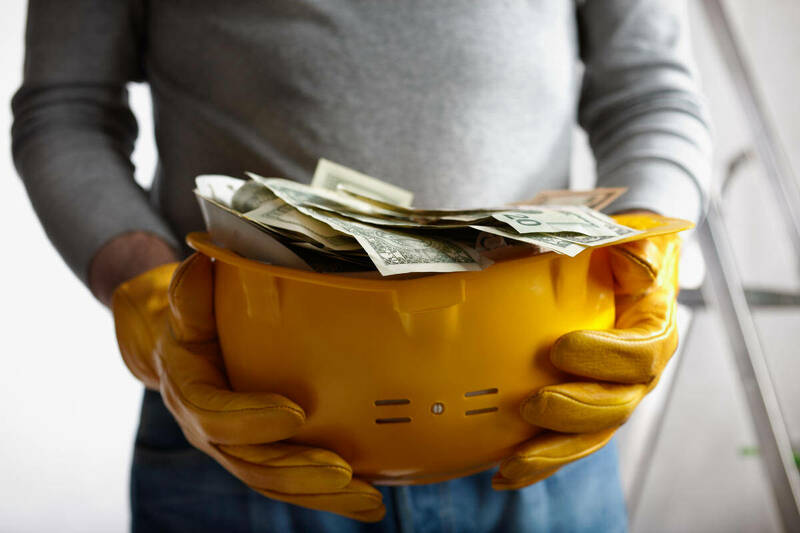 The reason is that workers’ compensation is a “no-fault “ system, meaning you can still obtain payment for your injuries even if the accident was partially your fault. The exceptions to this rule are extremely negligent actions like drinking and driving. The last category is commuting, and it is the only one where you will not typically receive workers comp benefits. The reason is that you driving to work is not the same as you working. Instead, you will have to pursue payment through an alternate legal system. To sum this article up in one tidy sentence, you will almost always be covered by workers’ compensation if you were on the clock and completing a work-related function during your travel accident. If you aren’t, the legality of your situation will be a bit more complex. Regardless, it is best to talk to a St. Louis workers compensation lawyer before pursuing benefits. When you are injured at work in St. Louis, there are a number of things that can happen next. 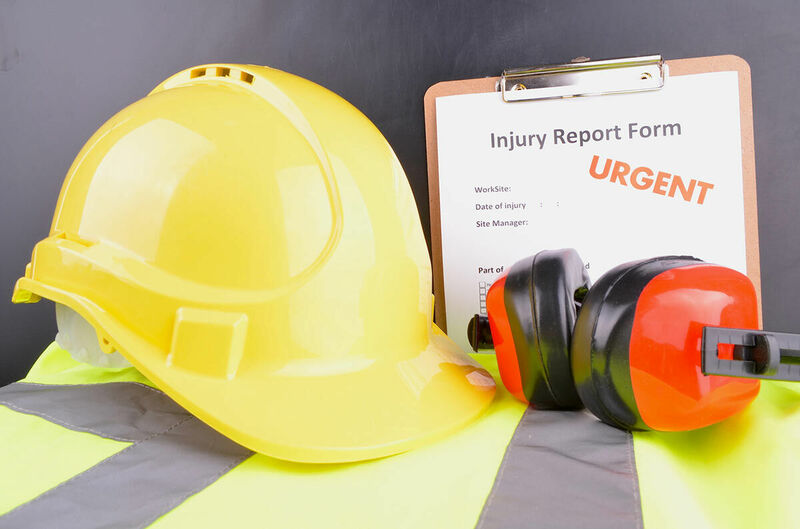 What is certain is that you should report your injury as soon as possible, speak with a St. Louis work injury lawyer, and see a company doctor. What is uncertain is whether or not your employer will conduct a drug test on you. Below, we explain everything you need to know about this practice and how it effects to your potential benefits. If you are subject to a drug test, it will quickly become a thing of the past if you pass it. To do so, you should follow three basic guidelines: Never take any illegal drugs, never consume alcohol before work, and only take medication if you have a doctor's permission. If you follow these recommendations, your drug test will either come up clean, or you will have a prescription to explain a substance you were flagged for. Either way, your compensation will typically be safe. Work injuries cost your employer a large amount of money. Because of this, they want to make sure you are deserving of benefits before agreeing to pay them. One reason why you might not be eligible is if you fail a drug test. If you do, your employer may partially or fully blame you for the incident and decrease the benefits they pay out to you. The first type of test your employer might give you is one that measures intoxication. This will be given the day of your injury, and it will test if you are on a mind-altering substance at that moment. The most common of these tests is for blood alcohol content, which will determine if you consumed alcohol or not. There are a few other tests for alternate substances, but they are less reliable when it comes to measuring intoxication in the moment. Another method your employer might use is a broad drug test. This data is obtained through urine or blood, and it measures substances in your system. Depending on the drug, you could have consumed it days or even weeks ago, and it will still show up on a test. This means that even if you were not intoxicated at the time of your injury, recent drug use could affect your case. Failing either of the two drug tests described above could reduce or eliminate your compensation. If it is determined that you were intoxicated in the moment, you will almost surely lose your benefits. If you fail a broad drug test, you are more likely to see a reduction rather than losing it all. Either way, speaking with an experienced workers comp lawyer is the best thing you can do to protect yourself. Though many employers choose to skip post-injury drug tests, others do so readily. If this is the case in your work injury, the result could have an effect on your compensation. If you find yourself in this situation and are afraid of seeing your benefits slashed or eliminated entirely, you should talk to a St. Louis workers compensation lawyer right away. If you are injured while on the job in the state of Missouri, you should know that your employer is generally required to carry workers’ compensation insurance. It ensures that an employer has the assets available to pay for someone who is injured while working under the authority and scope of their employment. It’s not just an insurance policy for the employee - it is a way to protect business owners from losing everything if someone is injured while working for them. If you are hurt at work, then you should let your employer or manager know immediately, and you need to seek medical attention to ensure that you have the evidence to prove your workers’ compensation claim. However, what if you didn’t let your employer know that you were injured? You may wonder if you can still make a workers’ compensation claim after the fact, even if you didn’t tell anyone you were hurt? What If You Didn't Report It Right Away? There are times when people get hurt while working and they brush it off, thinking that it is no big deal - only to find out later that it was a huge deal. The good news is that even if you didn’t make your boss or supervisor aware that you were injured at the time, you are still entitled to file a claim. If you have the proper documentation in place to show that your injury was work-related, then you can file after the incident - but it has to be within 30 days. What Type of Documentation Do You Need to Have? To claim workers’ compensation, you need to show that you were injured while performing work-related duties. It isn’t enough just to be hurt while at work - you have to prove that you were injured while you were performing under the scope of what you were hired to do. Although this can be problematic if you didn’t report the injury when it happened, it is possible to show that your injury is real and that it happened due to work. The key is to seek medical attention once you start to notice that it is more than just a bruise or sprain. You will need a physician’s report stating how the injury happened and what the diagnosis is. If you have supporting documents showing that your injury happened due to what you were doing at work, then you shouldn’t have any problem getting your injuries covered. If you didn’t report your injury immediately and are having a hard time collecting workers’ compensation - or even worse, if you have been declined - you can appeal the decision. It is best to speak with an experienced workers compensation lawyer as soon as possible to help you through the complexity of proving your workers’ compensation case and getting you the medical coverage you are entitled to. If you have been injured on the job in Missouri, call the Law Office of James M. Hoffmann 24/7 at (314) 361-4300 for a FREE case evaluation. The state of Missouri legally requires employers and business owners to carry workers’ compensation insurance. 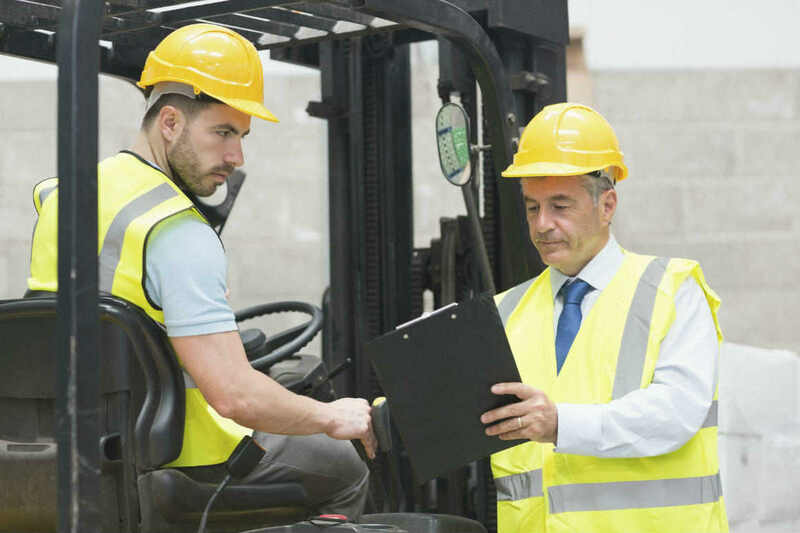 Workers’ compensation isn’t just an insurance policy to make sure that a worker is compensated if they are injured while working; it also ensures that one bad accident by an employee doesn’t bankrupt a company. Unfortunately, though, not everyone follows the law. Unlike personal injury, workers’ compensation isn’t based on the theory of negligence. You can be at fault for your accident and still be eligible to collect benefits. The only stipulation is that if you do collect, then unlike personal injury cases, you generally aren’t entitled to receive compensation for non-economic damages like pain and suffering. Workers’ compensation will only compensate you for economic damages, like your medical bills and lost wages from work. Not only are employers in Missouri required to carry workers’ compensation insurance, but they are also responsible for providing proof of the coverage if an employee asks. If you suspect that your employer isn’t carrying workers’ compensation, then you can report them to the state. Most workers assume that their employers carry the mandatory requirements but rarely ask for proof. What If Your Employer Isn't Carrying Workers' Compensation Insurance and You Are Injured? If you are injured at work and can prove that you were working under the scope and authority of your employer, then you are entitled to make a claim for workers’ compensation. If your employer isn’t carrying insurance, then you can sue them in a court of law for personal injury. Not carrying workers’ compensation is one reason that you may be able to sue your employer. Under normal circumstances, if your employer is carrying workers’ compensation you cannot sue them in a court of law; you can only file a claim through workers’ compensation. If you are injured while working and it isn’t work-related, but you can prove that your employer was negligent, you also may be able to sue. You would have to prove that your employer knew a risk existed, they could foreseeably know that it could result in an injury, they did nothing to make it better, and that you were injured as a result, then you do have a case for personal injury. The other instance where you can make a personal injury claim against your employer is if you can prove that your injury was intentional. Otherwise, whether you were at work when you were injured or not, if you were doing something outside the scope of your work duties then your claim will likely be denied. If you suspect that your Missouri employer isn’t carrying the mandatory minimum coverage, or you are injured due to negligence or intention by your employer, then the first place to start is by speak with an experienced workers compensation attorney to learn more about your legal rights. If you are injured in a work-related accident, then you might be eligible to collect workers’ compensation. 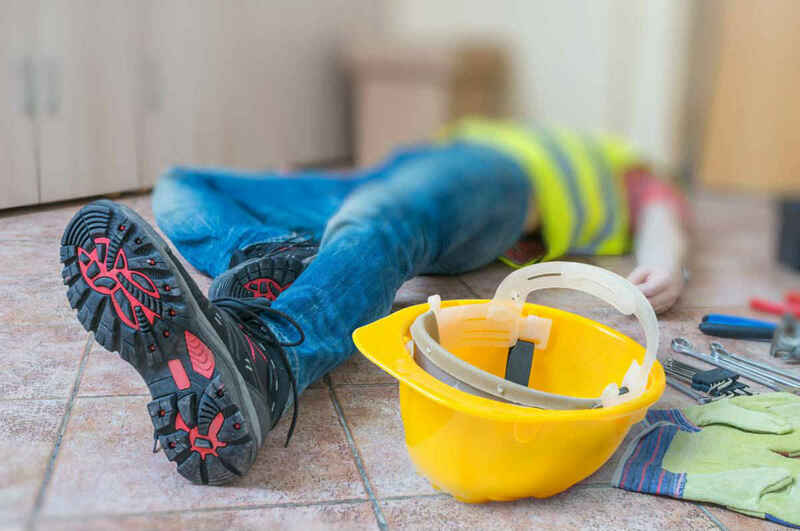 Workers’ compensation is mandatory in Missouri, and it is a type of insurance that companies and employers take out to ensure that if one of their workers is injured on the job, they have the means to cover the cost of the injury. Workers' compensation claims are different from personal injury claims in that you don’t have to prove that your employer was negligent. Since it’s not based on fault, even if you are responsible for being injured while working, you are typically still eligible to collect. The only stipulation is that you have to be able to prove that you were performing under the scope of your employment duties. It isn’t enough to be at work and hurt; you actually have to be at work, working, to be eligible. If you are injured on the job, it can be alluring to post your injury to social media - but you have to be extremely careful. Just like other types of insurance carriers, workers' compensation companies are not in the business of making sure that everyone is paid to the maximum to make them whole. Their objective, like any other business, is to limit their costs and liability. If they are at all suspicious of the extent of your injury, whether it happened while you were working or if you are really injured, social media is likely the first place they will go to investigate what you are up to. Even though you want to tell everyone about your massive fall at work, don’t post your version of events to social media. If you say one thing that indicates that you might have been doing something outside of what the scope of your duties are, then the insurance company may have the right to deny you eligibility. Save your stories for when you are with your friends; don’t post them for the world to see. If you hurt your back while lifting in the warehouse, you are not going to want to post pictures of yourself that will allow them to question your injury. Whatever you post online is out there for everyone to see. If you are injured, you don’t want to give the insurance carrier any grounds to rescind your eligibility or call your injury into question. Also, if you have recovered enough to return to work, then you have an obligation to do so. Social media is an excellent way to stay connected to those around you - just remember what you put out there is for the world to see, including the workers’ compensation insurer handling your case. To ensure that your injuries, how they happened, and their severity isn’t called into question, stay off of social media.